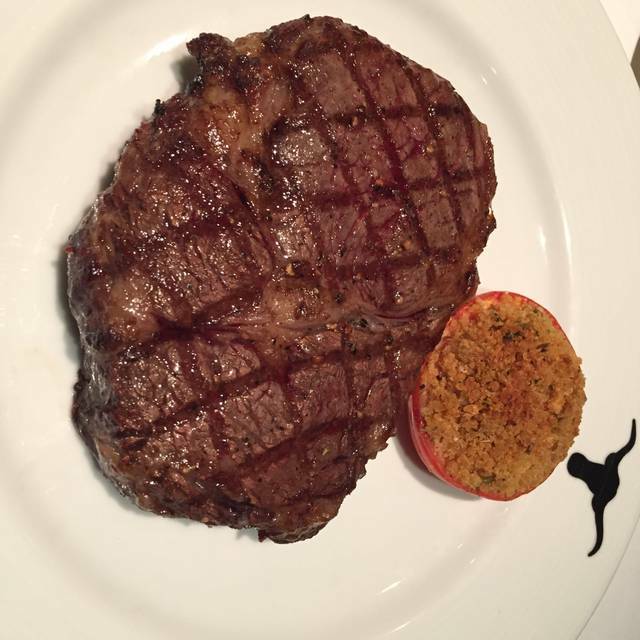 For a quality restaurant experience here in Bangkok, look no further than our signature New York Steakhouse. We serve premium cuts of steak and chops, seasonal sides and delectable seafood, in addition to a curated list of fine wines. During the Closure of Marriott Café from May 23 - late-August we will serve a semi-buffet lunch with a variety of appetizers, seafood and desserts from the buffet with a selection of soup and main course to be ordered a la carte. I went to New York steak house for my wife's birthday with 1 year old baby this week. They said it's ok to bring baby when I booked the restaurant. Usually our baby is quiet but she wasn't that quiet on the day and we felt sorry to other guests around our table. But staff offered a private room for us and we had a great time. Always staff are kind, food is excellent. We'll be back for sure once our baby grow up bit more. Thank you very much for your hospitality. It was great night for us! It was my precious dinner last day of this year. I go to this restaurant on 31th Dec ...every year. Thanks to you,I had special dinner. If you visit this restaurant,you should order ceaser salad 1st. It was our last night in Bangkok and to be honest, we were craving American cuisine, I just couldn't do anymore rice! The staff, food and wine were simply amazing! Our servers were attentive, friendly, knowledgeable and so much fun! Our waiter made table side Cesar per our specifications, wow the best Cesar I have had. Thanks for making our last night in Bangkok lovely. Took my girlfriend here for a quiet dinner and both of us were very pleased. Started with cocktails, margarita for the lady and I had a Manhattan Martini. Complimentary bread and butter were served with our drinks. The bread was warm and plentiful. Then we enjoyed a delicious starter of escargot. Our main course was the Wagyu Tomahawk Rib Eye for two. The cut was very large and nicely marbled. Cooked to exactly the way we ordered. A wide range of sauces and mustards were served with the meat. I needed neither, though I admit to a touch of mustard on a few bites. An iceberg lettuce salad and mash potatoes with truffles were served as well. Both very tasty. We selected a nice bottle of Bourdeaux to compliment the wonderful meat. Service was perfect. The staff anticipated all our needs and helped make the evening a wonderful time. 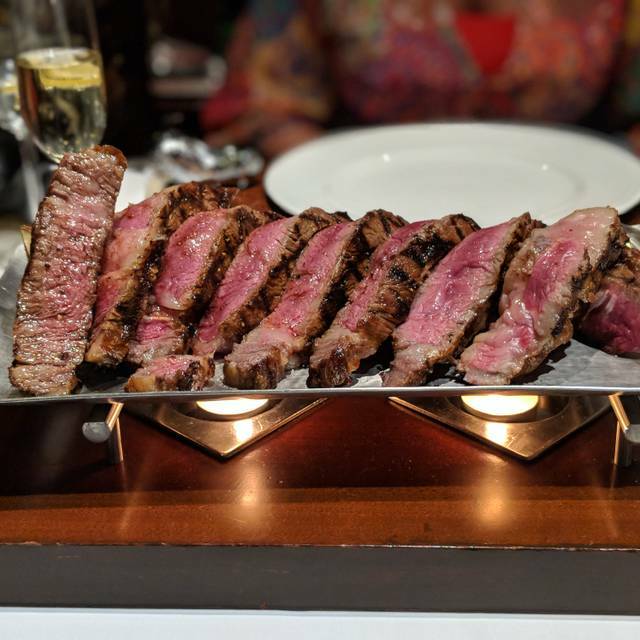 Bangkok is filled with cullinary wonders of all varieties and tastes, but the New York Steakhouse at the JW Marriott is at the top of the list for graciousness, "old world traditional steakhouse charm," impeccable service, and a delicious and expansive, but unpretentious menu. It's timeless, and I dine at the New York Steadhouse as often as I can. It is unexcelled. Steak and absolute courteous service. Food was great, service was attentive. Downside was running out of the popular t-bone steak on a Saturday night service. Great food, extortionate wines, service usually good. Sometimes odd seating - a few tables are somewhat close together (less than 2-3 feet). Overall really good though. This Restaurant is greatly over-rated! It used to be a well run operation, but their service is deplorable and even the Wine list has really shrunk down to a very reduced selection! Will not be returning, and that is a pity because it used to be one of our favorites! This is our first time in Thailand and JW New York Steakhouse!I had a great dinner with my boyfriend! The food was fabulous, service was great, the staffs were friendly and surprising for my boyfriend’s birthday! He was so happy,we’ve got an awesome and an unforgettable memory between us! Great staff, sweet, gorgeous waitress, great kitchen work, even made a very nice gratin, trolley cut outstanding tender and juice. We enjoyed every second. 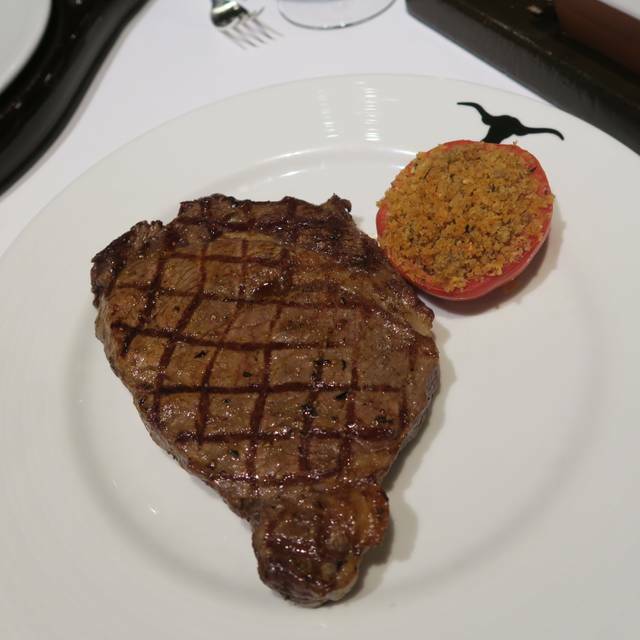 High quality steaks, highest service level . Comparable to the best steakhouses in New York. I’ve heard about this place so decided to try. The staff are amazing!! Some of the best I’ve seen anywhere. Enthusiastic and knowledgeable and polite. What I wasn’t impressed with were the prices. I think even more expensive than New York City which is not really right. I suppose this is the kind of place people go for business meetings when there is an expense account. My bill was more than 5000 baht for a steak and two glasses of wine and a starter. It reminded me of Dubai. Also the lighting in the dining area is terrible. There are spotlights on the table where the seats are. Completely uncomfortable to feel like you’re on stage and not conducive for an intimate dinner. Even the staff know this so perhaps management should consider a change. 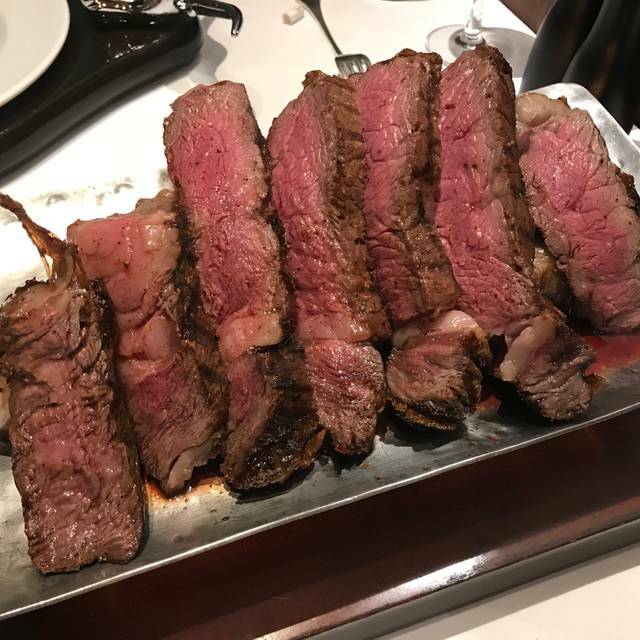 There's a reason why New York Steakhouse at JW Marriott is consistently listed as one of the top steakhouses (if not the best) in Bangkok. 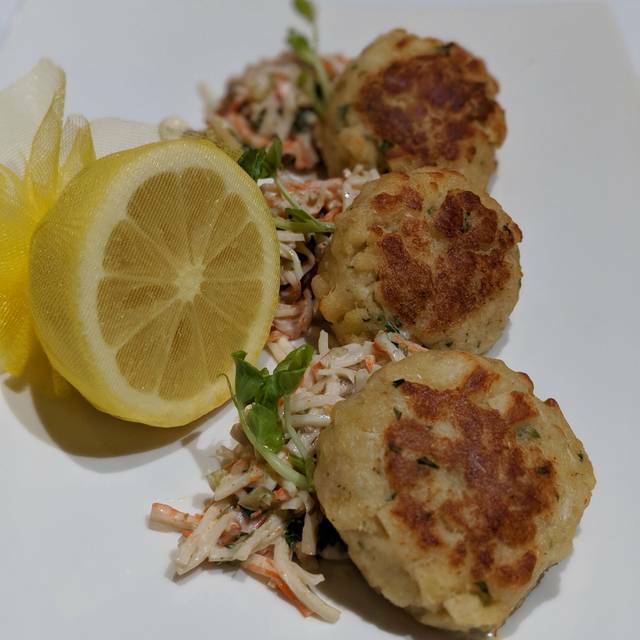 It's the combination of the exceptional quality of how their food is prepared, served, and the excellent taste, along with the best service, all within a very pleasant dining environment. One thing that will always stand out whenever you dine there is their attention to detail. The staff is so well-trained. They have an energy that comes across as genuinely friendly and professional. It's usually an area that many places that serve good food will have shortcomings on. Definitely not the case at New York Steakhouse. 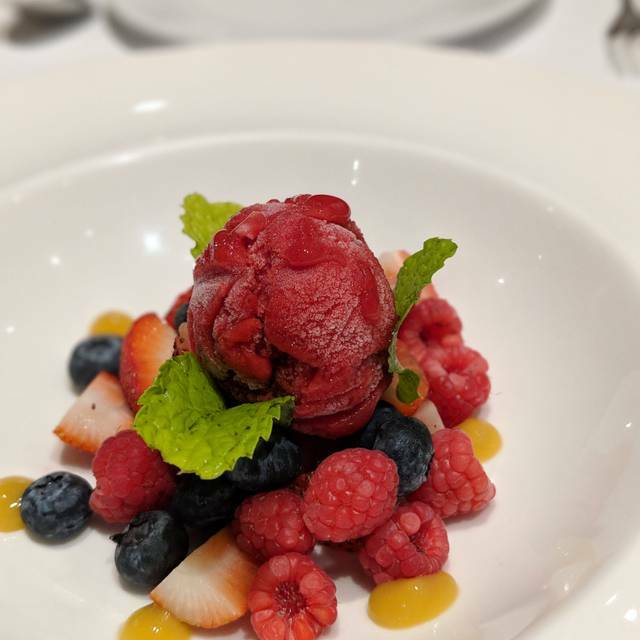 If you are looking for a fine dining experience or you want to be sure that a special occasion is not messed-up by poor service, you will not be disappointed if you dine there. The food was everything you'd expect from a five-star restaurant - a nice selection and prepared as you would expect it to be. Timing is everything, and they really understand that as part of the overall food presentation service to the table. This is my go-to place from now on for special occasions, celebrations, or important business dinners. A truly excellent and exceptionally wonderful total dining experience! This is one of the two best steakhouses in the area. I was in town for about 10 days, and I dined here three times. I wish it could have been more! Worth the price. Splendid decor, splendid food, and absolutely splendid and attentive service. One of the two best steakhouses in the area, if not in the city. The food was great and reasonable price (using club marriott card). Staffs were helpful and friendly. Definitely going back again soon! 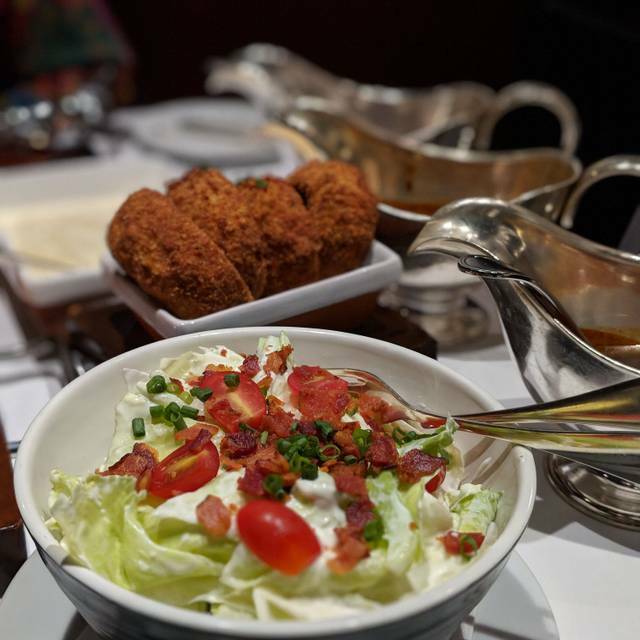 In a city and country known for grace and hospitality, there is no restaurant more gracious or hospitable than New York Steakhouse - JW Marriott. Indeed, it would be impossible to be any better! The staff are marvelous, the food is delightful, and the decor is "old school" and delightful. It would be perfect to have more space between tables. Haven eaten at New York Steakhouse in the past and always being impressed i was utterly disappointed with last nights meal. I ordered a USDA fillet and asked for it to be cooked medium with a butterfly cut. The steak arrived and was cooked to well done. When i informed the waitress she asked me to cut in the middle to confirm, it was grey in colour and no pink left at all. She spoke to the chef, without taking my plate to him, who informed her that it was medium and that is how a butterfly medium comes - this is absolute rubbish. The manager intervened and agreed it was overcooked and offered to bring a replacement steak. After over a 15 minute wait, where my wife had already finished her food, my replacement steak eventually arrived. This time it was Rare or slightly more than rare. It felt like they had forgotten about my steak and only when we enquired about it they rushed it out undercooked. Not wanting to wait a further 15 minutes i declined to eat the steak asked for the bill and left. All the other dishes were to the usual high standard, but, as a steak restaurant this should be standard fair and something that is of the same high quality every time - very disappointed with the service and the food. Service was also below the usual standards, the usual attentiveness and helpful explanation of dishes was gone and we were left waiting for our wine to be replenished. It will be a while before we try this restaurant again. - seating assignment well , tower service etc. Very disappointed in the food quality provided. This is the second time dining at your restaurant. The first time the food quality was excellent and the reason why I visited for my birthday on June 20th. 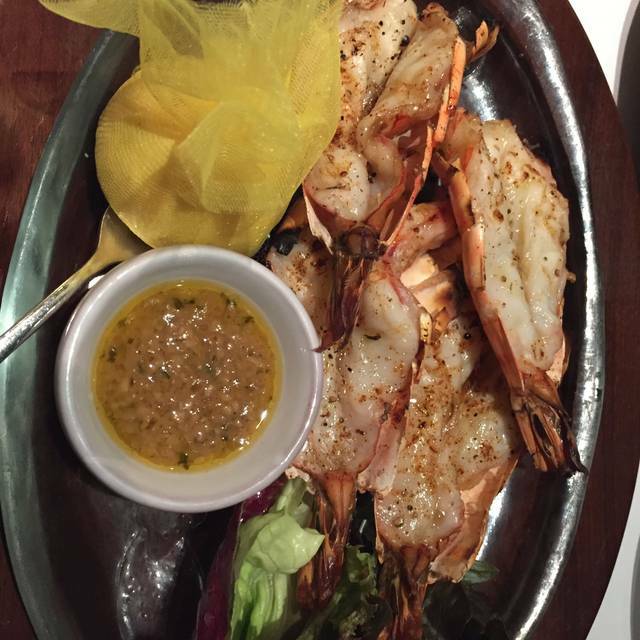 I raved about the first meal to my cousin who traditional dines at El Gaucho and who will not dine again. Probably the best steak house in Bangkok, but with a very good seafood option for those who prefer something different. Atmosphere and service was spot on and the food was excellent. US CAB porterhouse is really great! Cooked to medium rare perfectly. Best i've ever had. Best service and steak in Bangkok. Even though the price was a bit high but It was the best dining experience in recent years. Nice staff and great steaks but the price is expensive. Nice restaurant but food was mediocre. Not what I would think for high end restaurant. From the moment we arrived until we left had a great dining experience. 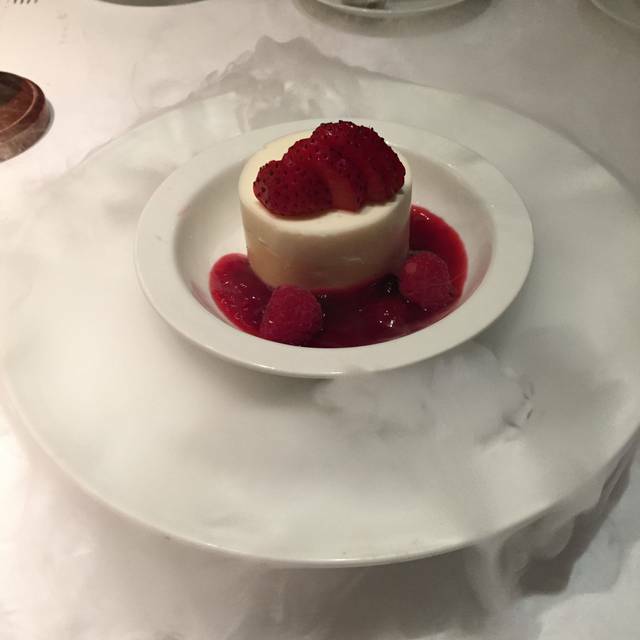 Staff were fantastic and very helpful, food was beautifully presented and cooked to perfection. Would definitely go back. I found them very good and the food was 10/10. The Lobster Thermidor was very poor. Lobster was ground up and packed with other items such that, you couldn't taste the lobster. Very, very poor. Steak Diane was just ok. The beef was excellent, however the sauce brought it down to just mediocre. The Lobster Bisque soup was poor as was the French onion soup. The only redeeming item was the excellent service. Reservation required, service good, food very good, selection adequate would suggest several more quality fish dishes. Table selection well done for three. Veggie selection could be better quality. Bake potatoes careful with “rock” salt. Almost removed dental work. It is a Steakhouse and the steaks are excellent. Enjoyed our meal including Caesar salad made at table. Cocktails were great. Steak was tender. Very, very expensive though.